All hard soaps are individually boxed. APHRODITE: Ideal for the nourishment of dry irritated skin, Aphrodite is a unique blend of Ylang Ylang, Sweet Orange, Grapefruit White and Patchouli, giving it a sweet floral fragrance. 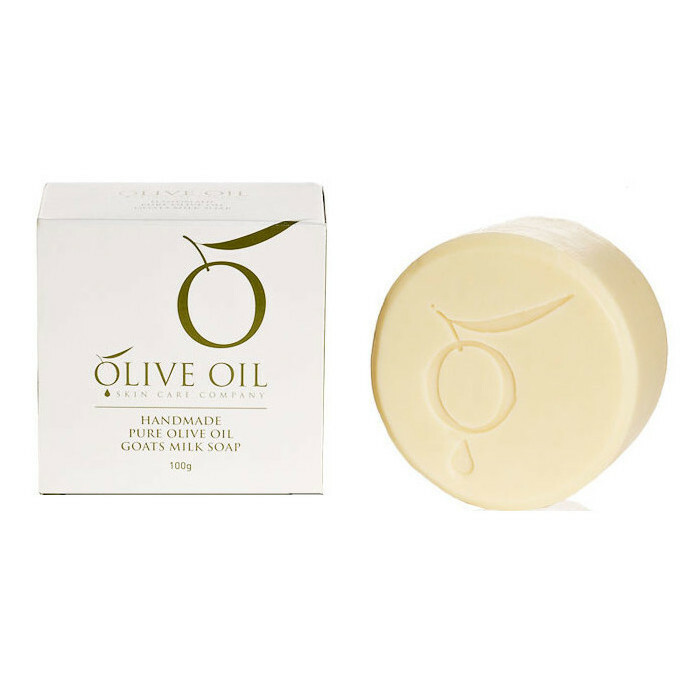 GOATS MILK: Goat's milk combined with pure extra virgin olive oil produces a very gentle unscented soap suitable for the most sensitive of skins. Goat's milk contains many nutrients to nourish the skin including essential proteins, amino acids and Vitamin A. LAVENDER: Lavender has been used for many years as a healing agent for the skin. Traditionally, it is highly regarding for its calming and restorative effects. LEMON MYRTLE: Myrtle is considered to have antiseptic, astringent and antiviral properties which are beneficial for oily skin and open pores. MANUKA HONEY: Australian Manuka Honey has powerful antibacterial properties and antioxidants. It provides protection against free radicals, which are known to be one of the main causes of aging. PEPPERMINT: Peppermint cools the skin and is considered to have anti-rheumatic, antiseptic, antiviral and antibacterial effects. It is also beneficial as a restoZrative and a tonic. UNSCENTED: Unscented Pure Olive Oil Soap is for those who prefer to avoid all additives. ZEAOLITE: Zeolite is a potent antioxidant and powerful exfoliate with the ability to soothe and calm acid skin conditions. An unscented volcanic mineral, Zeolite traps and neutralizes pollutants as it cleanses and detoxifies the skin.